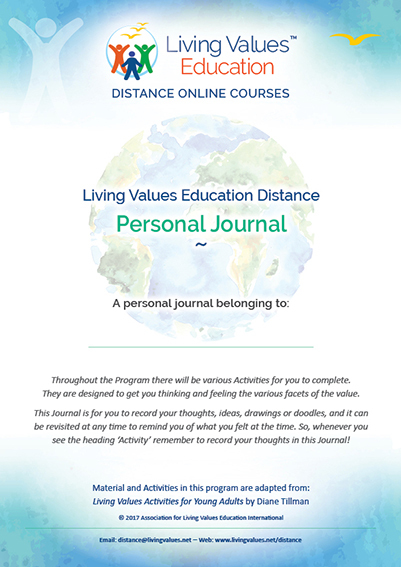 Living Values Education Distance Home Study for Adults, Families and Groups to do at home, without requiring workshop attendance with or without certification depending on degree of interaction. 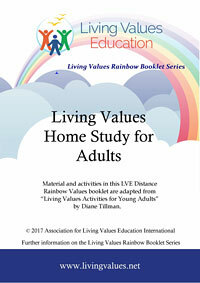 Several activities have been selected from each of the 12 value units featured in Living Values Education ctivities for Young Adults, along with additional material from Living Values Education Programme Educator Training Guide, to provide a Living Values Home Study to those who wish to explore their values in a personal, family or community environment. Explore 12 values using practical, fun and enjoyable activities and awareness building techniques, for which Living Values Education is known. These attractive downloadable booklets make Living Values Education accessible to adults, families and groups. Ideal for individuals, families, study groups, small groups at home and classroom application. All are available here to download free of charge for 'Self Print'.